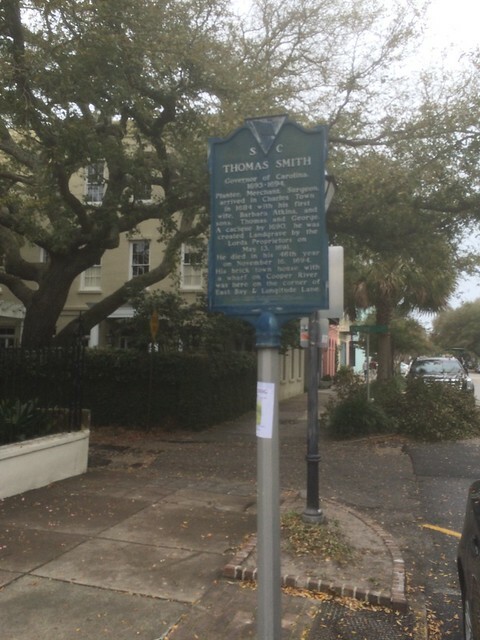 This marker is located at the corner of East Bay Street and Longitude Lane, Charleston, South Carolina. The GPS coordinates for this location are N 32° 46.472 W 079° 55.641. 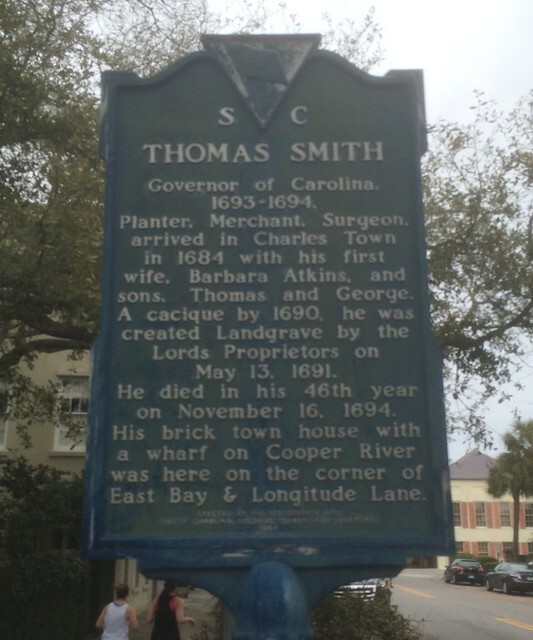 Governor of Carolina, /1693-1694/Planter, Merchant, Surgeon,/arrived in Charles Town in 1684 with his first wife, Barbara Atkins, and sons, Thomas and George. A cacique by 1690, he was created Landgrave by the Lords Proprietors on May 13, 1691. He died in his 46th year on November 16, 1694. 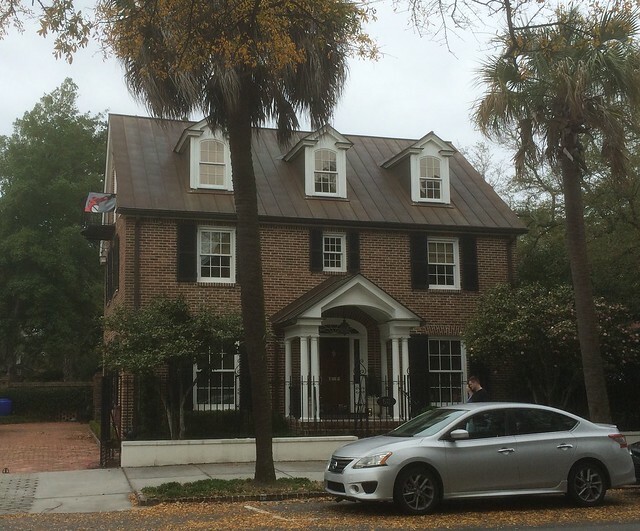 His brick town house with a wharf on Cooper River was here on the corner of East Bay & Longitude Lane.